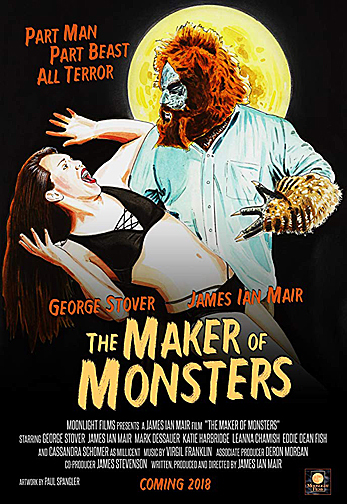 Legendary cult icon George Stover headlines a great cast in James Ian Mair’s old-fashioned monster film “The Maker of Monsters.” Depraved scientist Dr. Simon Vanard (Mark Dessauer) falls madly in love with the beautiful Lilly Struthers (Katie Harbridge), who shares a strong resemblance to his deceased wife. 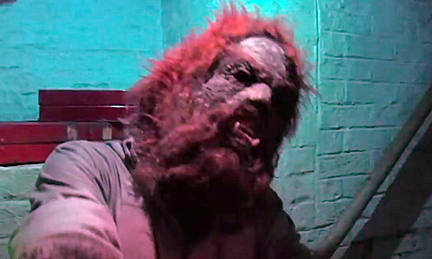 Upon realizing of Vanard’s intentions to marry Lilly, her fiance Derek Raines (James Ian Mair) attempts to thwart Vanard’s plans but falls victim to his fiendish experiments, which turn him into a hideous beast. 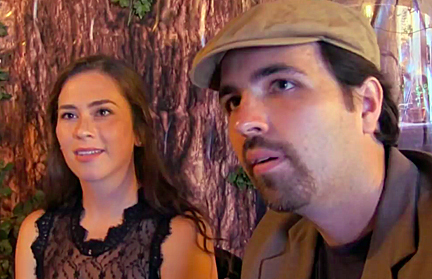 Now, Derek must fight the urge to feast on human flesh in his quest to save Lilly from Vanard’s evil schemes. 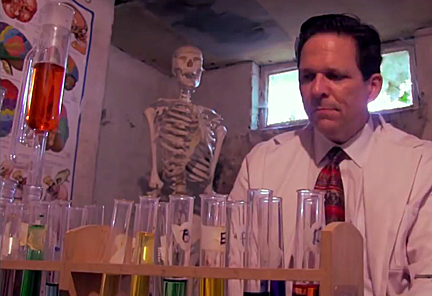 A movie with monsters, a bit of blood, atmosphere, and lots and lots of test tubes. This film was released around Halloween 2018 on youtube for everyone to enjoy. I think that’s pretty cool of the production company. It’s very much an old-fashioned style tale of terror akin to the productions a viewer could find from the mid 1950s to the early 1960s. In fact, I find it has a fews things in common with an old John Carradine movie called THE UNEARTHLY. Both are about mad doctors experimenting on humans – the byproduct being that their subjects are turned into monsters. Oh, and the female assistants are in love with these medical nutcases. Oh, and there are monsters running around attacking people. By and large the acting was pretty good (it helps when you have genre pros like George Stover and Leanna Chamish involved). The standout to me was Cassandra Schomer as the jealous assistant. 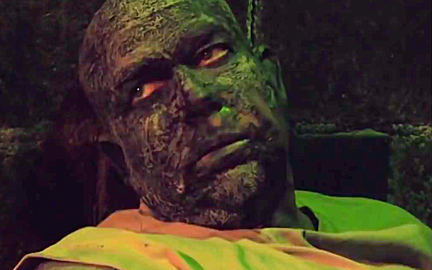 The makeup effects range from very decent to kind of Party City. While this is a low budget production, the creative team makes the most of their interior and exterior locations. The editing could have been tightened up here and there, but the movie overall flowed well. I believe Moonlight Films is three gents from the Indiana area. Judging from their Facebook page they seem to be very prolific producing genre films. I admire their hard work and dedication to what they love. The fact that they traveled to get their two special guest stars in the film alone earns high marks from me. So I do recommend that you check out THE MAKER OF MONSTERS. It will give you that wonderful feeling of catching an old fashioned horror movie on TV on a rainy Saturday afternoon.